As the winter continues with sub-zero temperatures, many Europeans are looking ahead to a summer, sun and beach getaway. Many holidaymakers decide to book early in order to be able to avoid having to make any concessions regarding their favorite destination and holiday period. In 2018, around 50 percent of TUI’s German guests booked their trip at least five months in advance. According to an analysis of recent bookings made with TUI, January is the peak booking month in all European markets. In many European countries, Saturdays in January are the busiest days of the year for holiday bookings. The most popular booking day of the year in the UK and Germany was 12 January. Tens of thousands of bookings were made in Germany, involving more than one million German holiday-seekers visiting one of the retail stores or the website of the world’s largest tourism group to search for summer getaways. Unlike the UK and Germany, Scandinavia and France see a spike in bookings on Sundays rather than Saturdays. In the Netherlands, Belgium, and Austria, most holiday-seekers take their decision during the weekend and book their holiday on a Monday. The analysis of bookings also shows that the smartphone and tablet are playing an increasingly important role in holidaymakers’ travel plans and bookings. In Scandinavia, this has already become the new normal. Here, more than 80 percent of all bookings are made online. In Germany and Austria, by contrast, the retail store offering advice and services remains customers’ preferred booking channel. However, the proportion of online bookings is also steadily growing in the German-speaking area. Around half of the Group’s European holidaymakers book their trips online. The proportion of online bookings grew by 26 percent over the past four years. Direct bookings made via TUI’s mobile apps have also increased across Europe. Mobile bookings will become increasingly important in the future. TUI apps for mobile devices are already being used by around 5.5 million holidaymakers. The trends regarding the countries tipped to prove popular in 2019 are already emerging. The top destinations are Spain, Greece, and Turkey. 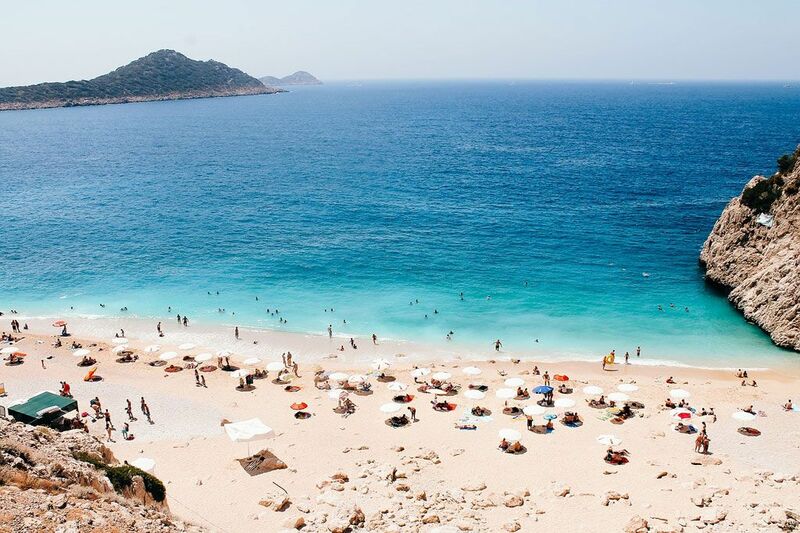 Turkey, in particular, is currently recording significant growth in booking numbers across all markets, and the same trend is observed for Egypt. Overall, Spain and Greece continue to be among the favorite destinations of TUI holidaymakers in all European markets. Spain remains one of the top holiday destinations; as expected, demand for Spain has normalized. Greece is recording an increase in bookings from source market UK this year. Moreover, long-haul travel is becoming increasingly popular across Europe, in particular in the Nordics, France, and Germany. Alongside the US, strong demand has above all been recorded for Mexico and the Caribbean with Jamaica and Cuba as well as destinations in the Indian Ocean. New holiday countries have been included in the brochures for this year’s summer season. TUI holidaymakers in the Nordics and Austria now have the option to travel to Montenegro or Albania. German customers may also book Albania as a new travel destination. In the UK, TUI now offers trips to Calabria in Italy. Another newcomer among TUI’s most favorite destinations for German customers is Cyprus. The Mediterranean island is gaining popularity in the German travel market. TUI fly is expanding its route network for Summer 2019 and will newly include Larnaca in its flight schedule with a capacity of 20,000 seats.